Whenever we start a new project, our first step is to scroll through our go-to sites, flip through dog-eared magazine spreads, and visit showrooms and stone yards to get our creative wheels spinning. 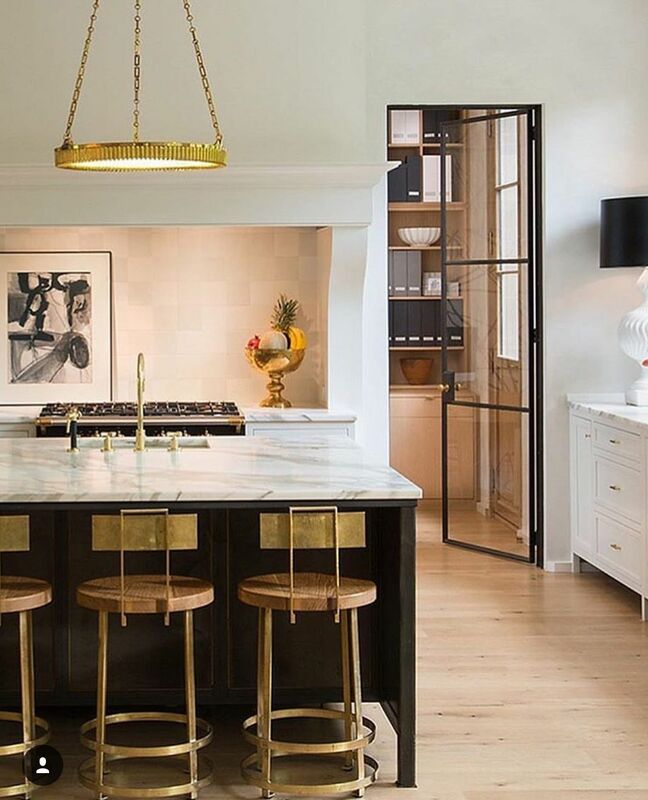 This week we're knee-deep in kitchens and as we searched, one fool-proof formula kept jumping out: Rich Neutrals (think white or wood cabinets), Soft Textures (handmade tiles, natural stone), and Statement Metals (unlacquered brass, matte iron, shiny polished nickel). Though it's not exactly groundbreaking, the beauty is in the serene simplicity—a classic mix we'll never tire of. These kitchens are understated, yes, but they're certainly not boring. Scroll down to see the calming combos for yourself.